Apparently, even the Middle East has greater 3D penetration than the US. "We were surprised to find that 3D appears to be a far more popular feature in China than North America, and the penetration rate was two times higher in the last quarter," says NPD analyst Paul Gray. Interest in 3D sets has changed pretty significantly and the percentage of 3D televisions shipped reflect that. 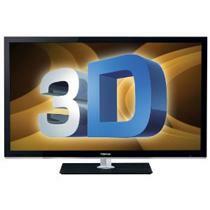 3D TVs made up 17% of those shipped in Western Europe and China which is a steep increase from the year before. In the US however, shipped 3D TVs made up 7% of the market, down from 10% last year. 3D penetration is on the rise when considering the entire world, with the U.S. being a standout from the rest. "Our report also indicates that North American and Japanese 3D penetration is lower than the Middle East," says Gray.